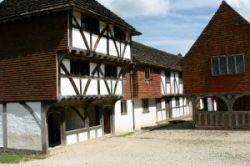 Removal companies can offer a number of different services and it can be hard to know what services you need for your home move to Horsham. Using a professional moving company is always a good decision as they can help you decide how best to organize, pack and plan your move. This is an essential process if you are trying to execute the right move for your budget and schedule. Moving Service is a professional moving company who can deliver you an affordable and reliable moving experience to Horsham. When you work with us, we carefully and diligently plan out all aspects of your home move beforehand so that you know what to expect, what operations may occur and how we will transport your belongings. With any home or office move, we ensure that your belongings are carefully wrapped with our wrapping paper and packaging so they are not damaged during the move. We provide full-service packing assistance for this process, but we can also supply you boxes and wrapping supplies if you prefer to do it yourself. We can easily move larger items or furniture up and down stairs and through narrow corridors as doing this step yourself can be risky. If you are stressed trying to plan your home move to Horsham, then call us today at 020 8746 4402. One of our sales specialists will provide you with a free estimate on your home move and start to create a moving schedule so that you can get started today. Horsham is a market town located near the River Arum in West Sussex, approximately 31 miles southwest London. Today, it is home to a number of businesses and industries. The town centre has a few chain stores and many small and independent shops. Horsham has some landmarks including the Horsham heritage Sundial, and the Shelley Fountain. It is well connected to London and beyond via numerous transport links. 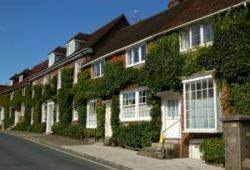 If you want to make sure your home move to Horsham is a success, then contact us today. We have years of expertise relocating houses and offices and we can anticipate beforehand any difficulties that may arise. With our many service options, we know that you will be able to find one that perfectly suits your needs so that you are not paying for extra services that you aren’t using. If you’re looking for man and van solutions to Horsham, then we have the appropriate services for you. Our man and van services involve safe and secure transportation of your belongings through a diligent packing and loading system. We will deliver your belongings in a timely fashion, so that you can get unpacking as soon as possible. Our removal services are designed to make you feel comfortable. We understand that moving a house is a complicated process and the last thing you want is to be worried about the safety and security of your belongings. We make sure that everything is assembled in your new Horsham residence, like wardrobes and beds as these tasks can be difficult on your own. We follow up with you after the move to make sure that every aspect of your move as gone as planned and there are no missing bits. If you are planning a home relocation to Horsham, then hesitate no longer and contact Moving Service today at 020 8746 4402. We will provide you with a free estimate over the phone so that you can carefully plan out your move. Our services are affordable and all our staff members are friendly and professional. So contact us today to get started on your Horsham home removal.